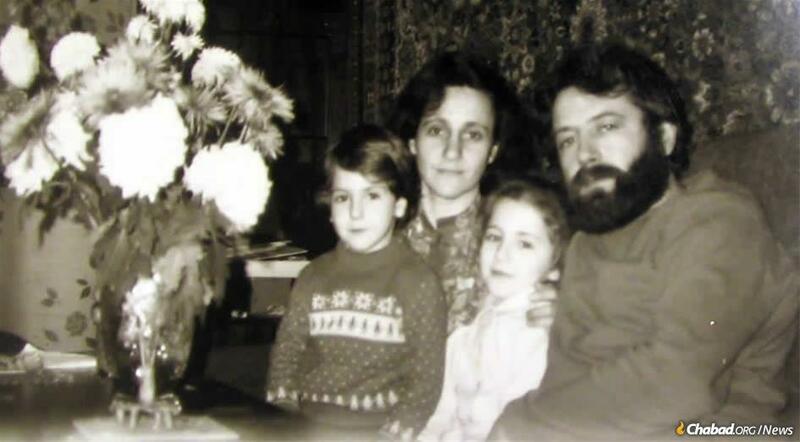 The Ash family waited for eight years to be allowed out of the Soviet Union. Dani Ash was born in Leningrad (now St. Petersburg) in 1982, three years into his parents’ eight-year “career” as refuseniks—Jews forced into an underground life of fear, privation and incarceration after their application to leave for Israel was denied by Soviet authorities, and they were deemed a threat to the state. 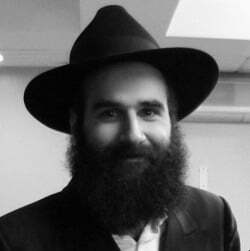 Today, Rabbi Dani and Rivka Ash co-direct a bustling Chabad center in the same city he left as a child, never dreaming that he would one day return. Q: Rabbi Ash, let’s start your story from the beginning. What is your family history? A: Like many Soviet Jews, my parents, who were born shortly after the end of World War II, came from assimilated, highly educated Jewish families. We were old-time residents of Leningrad, where my great-grandparents had lived before us. My mother was an architect, and my father was a military-trained automotive engineer. His father was a high-ranking military official, and he had grown up all over the USSR. They had stable jobs and a future to look forward to together. In the late 1970s, they became enamored by the notion of moving to Israel and applied for exit visas in 1979. That was the turning point in their lives. Their applications were denied, and they soon found themselves without jobs, living on the edge of the only society they had ever known. My older sister Ella was a baby at the time, and they dreamed of getting out and living freely as Jews. Q: How did your parents become religious Jews? A: Once they became refuseniks, otkazniki in Russian, they found themselves exposed to an entire underground world of fellow refuseniks, many of whom had also become religious. 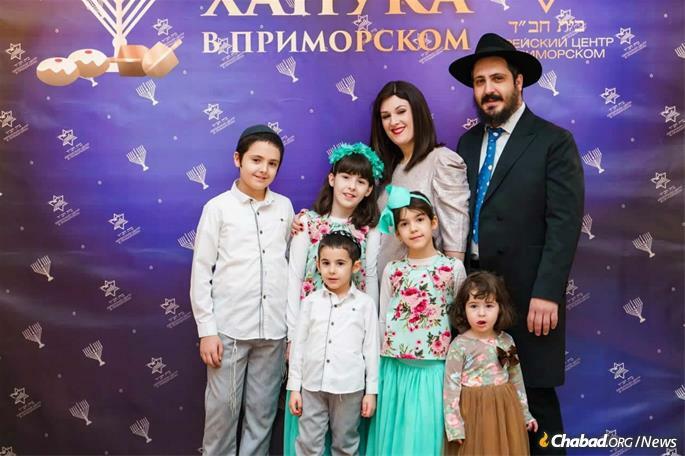 One of the central figures in their return to Judaism was a Chabad Chassid named Iza Kogan, today the rabbi of the Bolshaya Bronnaya Synagogue in Moscow. Slowly, but surely, they began attending more and more classes, holiday celebrations and events. It was only a matter of time until they became inspired and adopted a Jewish lifestyle. 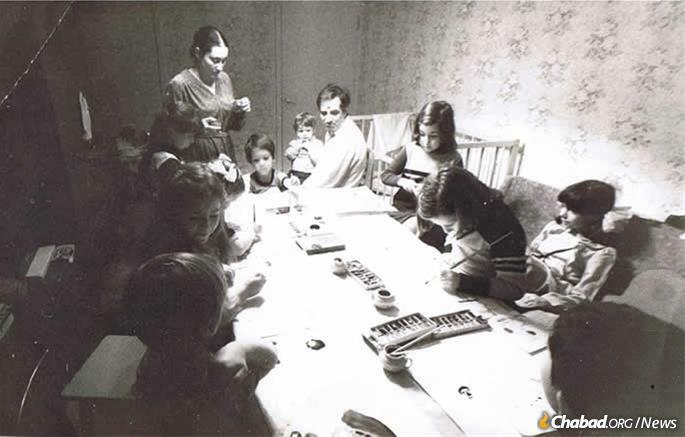 Young Dani Ash (seated at the head of the table) at a quasi-legal Jewish activity for children in Leningrad (now St. Petersburg). Q: What are some of your childhood memories? A: By the time I was born, my parents were living increasingly committed Jewish lives. I was given a Jewish name, Daniel, and they raised me with many Jewish traditions. For example, they did not cut my hair until my third birthday. Naturally, people thought I was a girl. We were once on a bus and someone commented, “what a pretty little girl.” I replied: “My name is Dani, I am a boy and I am Jewish.” As you can imagine, this wasn’t the smartest thing to do. When my parents would go to classes, the police would often harass participants. They would blockade the building or otherwise try to disrupt. They once entered an event where my parents were attending, and a scuffle broke out. Twenty people were arrested, including my father. My father felt his blood pressure rising. My mother accompanied him to the police station and raised a ruckus, insisting that my father needed to be taken to the hospital. The ambulance driver was sympathetic to their cause and dropped them off at home. From then on, my father was a marked man, and he only left home together with my mother. We were scared as kids and didn’t want them to leave home. They would tell us that they were leaving so that we could one day move to Israel, our dream, and we would be mollified. 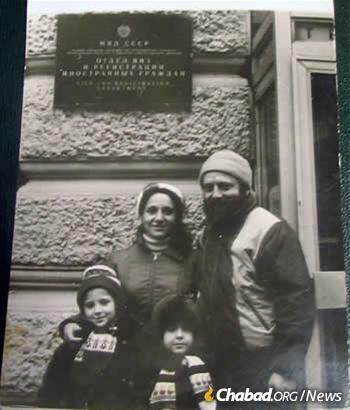 The Ash family outside of the OVIR, where they had finally been granted exit visas. One day, my father walked out alone, and he was taken directly to prison—the same prison where the Sixth Rebbe, Rabbi Yosef Yitzchak Schneersohn, of righteous memory, had been incarcerated 60 years earlier. It took a while for my mother to track him down. He was released two weeks later, but a friend arrested at the same time was actually taken to Siberia for two years, so we knew we were fortunate. Afraid of an international incident, the authorities finally decided to let us go minutes before we were to begin our protest. Within a month, we arrived in Israel, on Lag BaOmer. We never looked back. Most people here in Russia have a very strong pride in their native city, but my parents had lost all feelings for the city where they had been held prisoner for almost a decade. Q: What was life like in Israel? A: When we came, the floodgates had not yet opened, and Soviet Jews were only trickling into Israel. The only one who predicted the major wave of Russian immigration was the Rebbe, who had called for housing to be created for the crowds he knew would come. We moved into those homes in Ramot, a suburb of Jerusalem. Not even half-a-year after we arrived, my parents were granted the opportunity to travel to New York to meet the Rebbe, about whom they had heard so much. 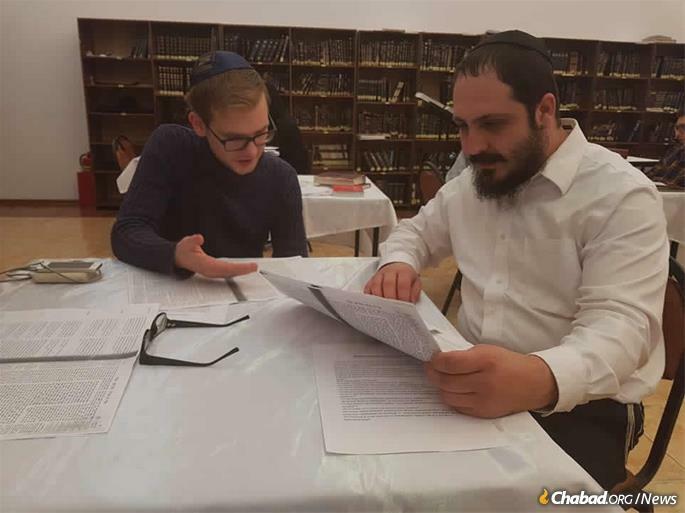 Inspired by the Rebbe’s vision, they were particular to speak to us in Russian. They knew that more Jews would soon come from Russia, and they wanted our family to be well-positioned to be able to reach out to those people. Until this day, I still speak Russian to my father, and I am grateful that I had no language barrier when I came back to Russia to teach Judaism as a teen. 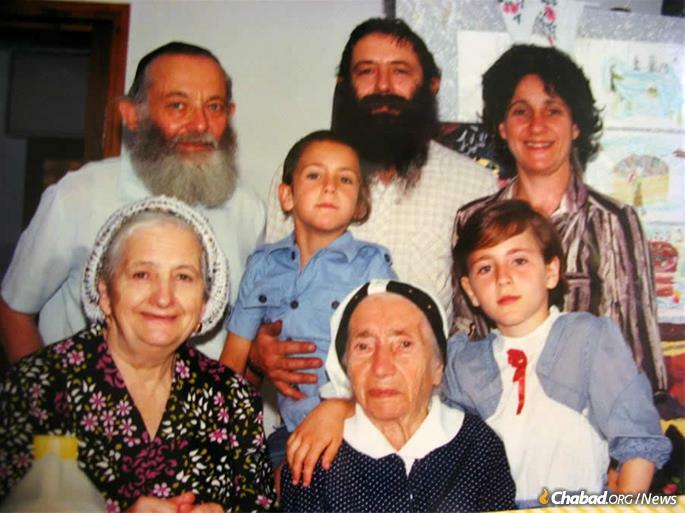 We remained in Jerusalem for several years, and then we moved to Kfar Chabad, where my father was involved with the Children of Chernobyl project, in which thousands of children from radioactive zones were treated and cared for. 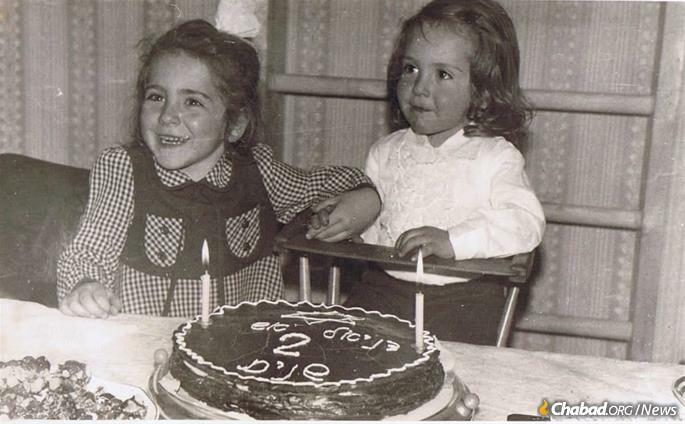 Dani Ash's second birthday was celebrated with a cake with Hebrew lettering, expressing his family's deep connection to Israel, where they longed to settle. 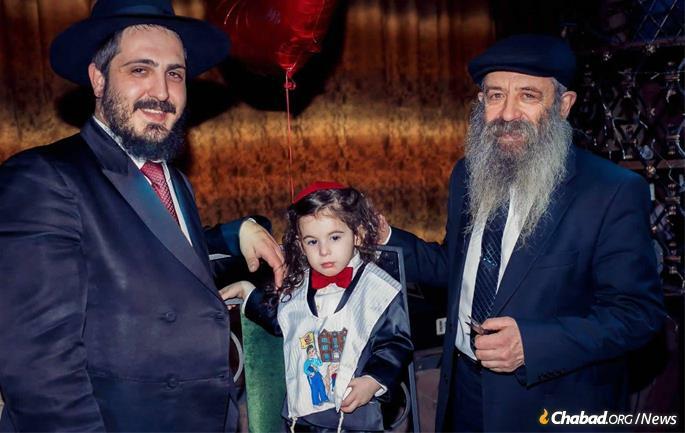 After my sister got married, she and her husband moved to Ukraine in 2001, where they became Chabad emissaries. In 2006, they moved to Moscow, where my brother-in-law oversees the kosher-food production in the country, and my sister is a teacher. It is hard to believe that just a few years earlier this would have been impossible. For our parents, this was surreal, but they supported it and understood that it was the right thing to do. Unfortunately, my mother passed away 14 years ago and never saw the amazing reversal that brought our family back to Saint Petersburg. When I was a teen, I began going to Russia during my yeshivah summer break to be a counselor in the many Chabad summer camps. My first experience was in Minsk, Belarus, and I loved it. I connected deeply with the kids, some of whom I am still in touch with all these years later. Shimon Ash in St. Petersburg for the upsherin of the son of Rabbi Dani and Rivka Ash. Q: Please share some details about your life in Saint Petersburg. A: My wife was born in Israel, but had already served as a madrichah (counselor) at the Chabad seminary in Moscow, so she knew some Russian and had a taste for life here. We came here in 2007, at the behest of Rabbi Mendel and Sarah Pewzner, who have done a tremendous job at rebuilding Jewish life here. There are 500 Jewish children studying in various Jewish schools. The city has many synagogues, kosher restaurants and stores, and a burgeoning Jewish community. While I have occasionally met people who knew our family, almost everyone we knew left as soon as they were able, including my grandparents and great-grandmother, who returned to Judaism as well in Israel. My father visits us every few months and is amazed by how much the city has changed since the 1980s. The rabbi studies Talmud with a local young adult. Q: What is your current community like? 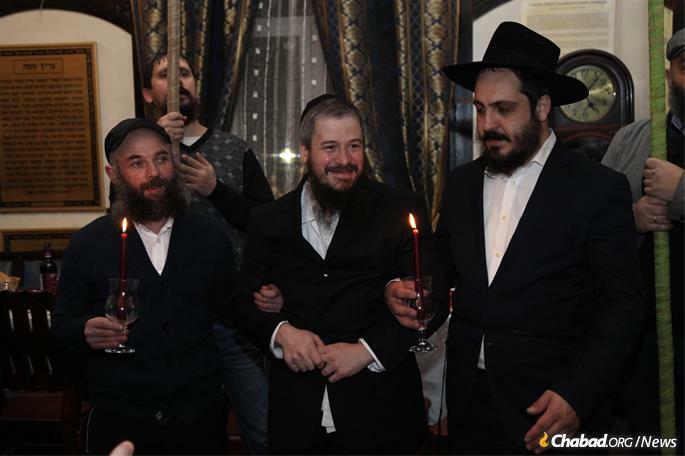 A: In 2011, we decided to open a Chabad center of our own in the Promorsky district, an hour away from the main synagogue in the center of town. It is a rapidly growing community of 500,000 residents. Before we came, we knew just a few Jewish people here, and they told us not to come since they each thought they were the only Jews in the area. We knew that statistically speaking, Saint Petersburg is at least 1 percent Jewish, so there had to be several thousand Jews here. Thank G‑d, we meet more and more Jews all the time. We can be out shopping, and people recognize us as Jews and approach us, seeking a Jewish connection. There are older people, families and young singles here—everyone. Many of them lived for several years in Israel and know Hebrew, so they feel at home in our Hebrew-speaking household. Rabbi Dani Ash participates in a joyous Jewish wedding, an activity that was once illegal. We have a full array of holiday activities and a lively synagogue. When I was a child, we almost never went to synagogue. The synagogues were saturated with informers. All real Jewish life took place in private homes. Today, we direct a synagogue—one of many that have sprung up all across Saint Petersburg. My children walk the same streets that I did as a child, but they skip with a carefree pride and joy that I could not even have imagined possible. The Ash family at a Chanukah celebration they arranged for their community. 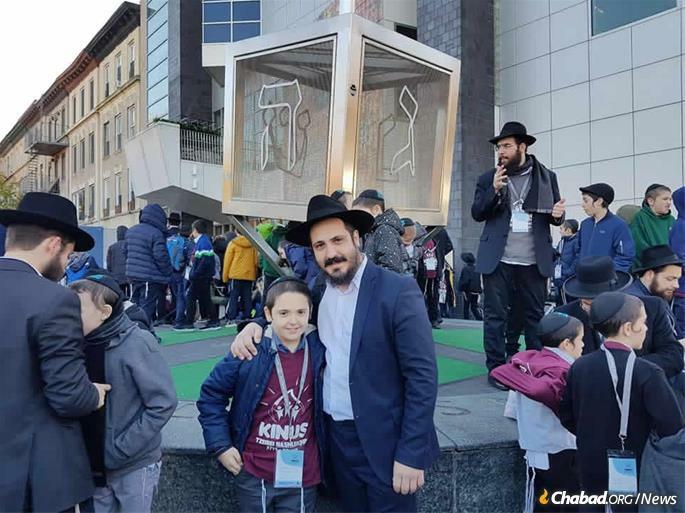 Rabbi Ash and his son at the International Conference of Chabad Lubavitch Emissaries in Brooklyn, N.Y. In the thousand years that there have been organized polities in the space known as "Russia", there has never been a government that respected residents. Russia has always been run by those negligent at best and malign at worst. Thus, Jews - who stay in Russia - are as blind as were the Jews, who did not leave Egypt, when the A-mighty, Blessed be He, cleared a path. Rashi comments that eight-tenths of Jews did not leave Egypt (Rashi to Sh'mos 13:18). As Rabbi Posner makes clear, there were eras when even the effort to leave had very nasty - often lethal - consequences. Now, when it is easy to leave, Jews should run, not walk, to the nearest exist.